West End Walks. 135 Vaughan Street. 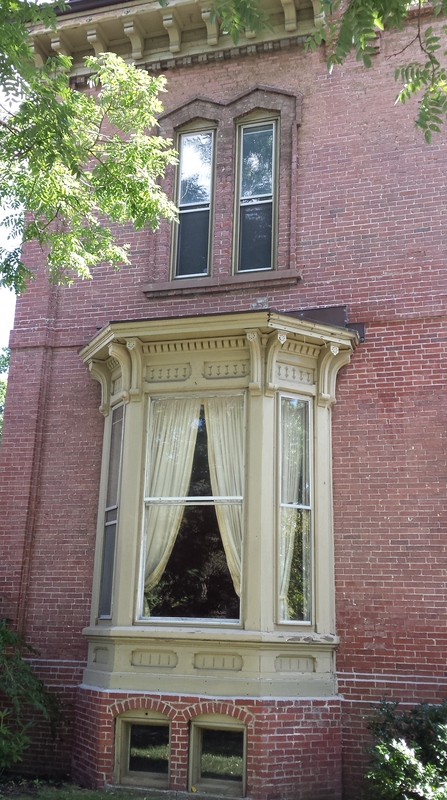 Built in 1871 for Peter & Mary Lane. Design by Francis Fassett. The house is a solid 2 story cube with a 3rd story tucked under a very tight hipped roof. There are small projecting bays to the rear of each side. The right bay is a simple square block. The left bay is 3 sided and has minimal projection from the wall. The projecting cornice is hefty and well scaled to the block. The brackets supporting the cornice are a bit too numerous given their size. The main block sports an interesting dentil detail in the headered bricks. The shadow created by the brackets and dentils, seen in the opening photo, is subtle but effective at relieving some of the mass of the wall. The right hand bay carries all the details of the main block. Some, the brackets are scaled down slightly. The bay does have a unique window treatment on the first floor with the brickwork showing a dentiled and pedimented form. The street facade is dominated by a pair of stout Victorian bays on the first floor with slim, paired windows above on the second floor. These paired windows are capped by vaguely moorish arches. More on the window trimmings in a bit. The bays look like they might have come from a catalog. It’s not that they’re bad. It’s more that they could have been better. The parts making up the bays have a machine made quality to them and seem to have been simply assembled to create the bay. They sit on foundations that don’t appear to be totally attached to the wall. The wall surfaces are delineated with a very heavy belt line and corner pilasters that barely project from the wall. 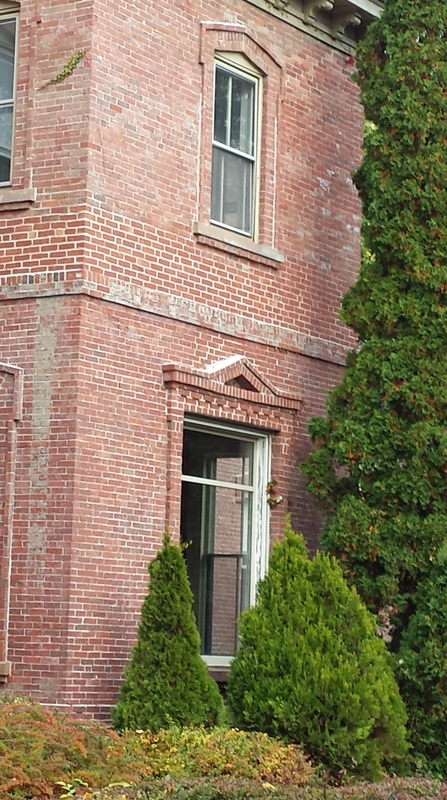 The windows all have strongly modeled trim in brick. Looking at the existing surfaces and historic photos, it is my belief that they were painted. Perhaps even covered in mastic. The house originally had a porch on front and left side. This helps to explain the large transom over the side entrance and the large amount of unadorned wall on that side. 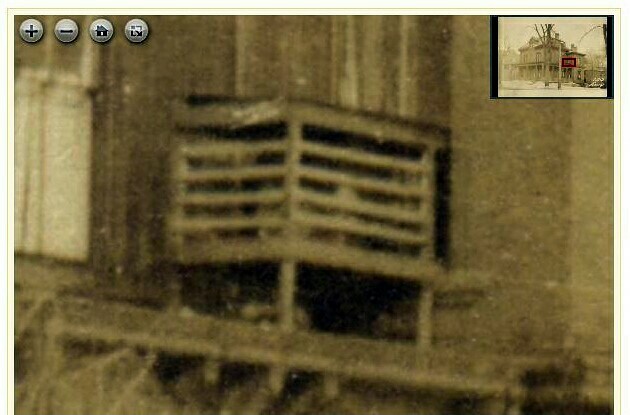 The 1924 photo shows the porch well. The roof looks to have carried the bracketed cornice from above and sat on somewhat slim columns posts that appear to have had bracketed capitals. Also of interest is what looks like a cage of some type attached to the side window. The tax photo gives us a glimpse of the central projecting pediment on the third floor. This is a hallmark of Fassett’s work. 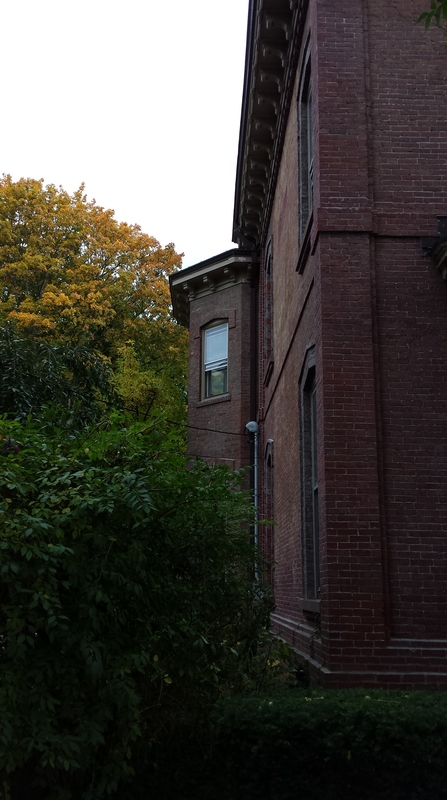 The current street trees make it very difficult to capture until the leaves drop. Set on strong corbels and showing a patterned peak, it’s one of his best for the period. There isn’t much history for the Lanes. Peter was a partner with Albion Little in a wholesale dry goods business. By 1873, the partnership had been dissolved and the Lanes had moved out of the city to Brunswick. They are not mentioned in the 1873 city directory although they continued to be involved in property transactions in the city until late in the century. Mary died in 1899 and Peter in 1903. 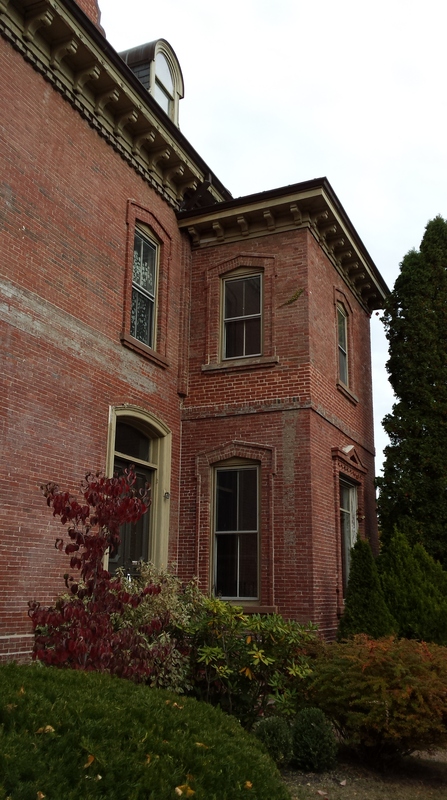 This entry was posted in Architecture, Brick, carriage house, Francis Fassett, Glimpses, History, Images, Italianate, Vaughan Street, West End Walks and tagged Brick, Francis Fassett, History, images, Italianate, Maine, Portland, West End on October 17, 2016 by alewifecove.